have you ever had the southwestern eggrolls appetizer at Chili's? it is one of my favorites and sometimes i get that as my meal! a few months ago i found this southwestern eggrolls recipe and was really excited to try it out. we even bought all of the frozen/canned ingredients, but then life got crazy busy and we never made it. 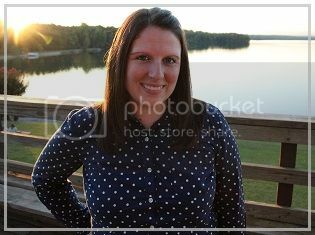 while our house was showing we stayed with my in-laws. my mother-in-law is a vegetarian so i pulled out some of our vegetarian recipes to try. 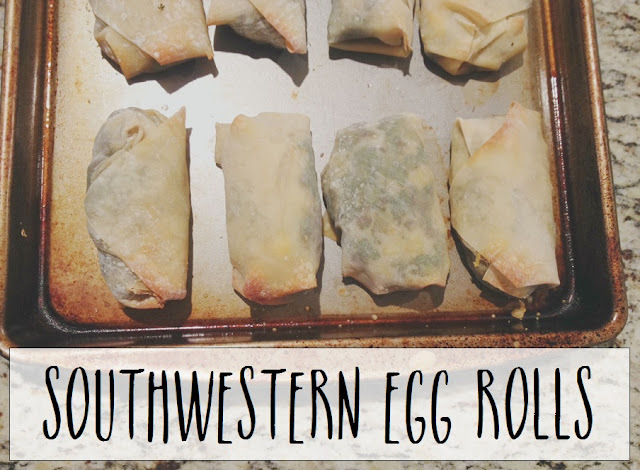 the first one i suggested was this eggroll recipe, and it has quickly become one of our favorites! we actually made these at my parents house last weekend too and they loved them as well! 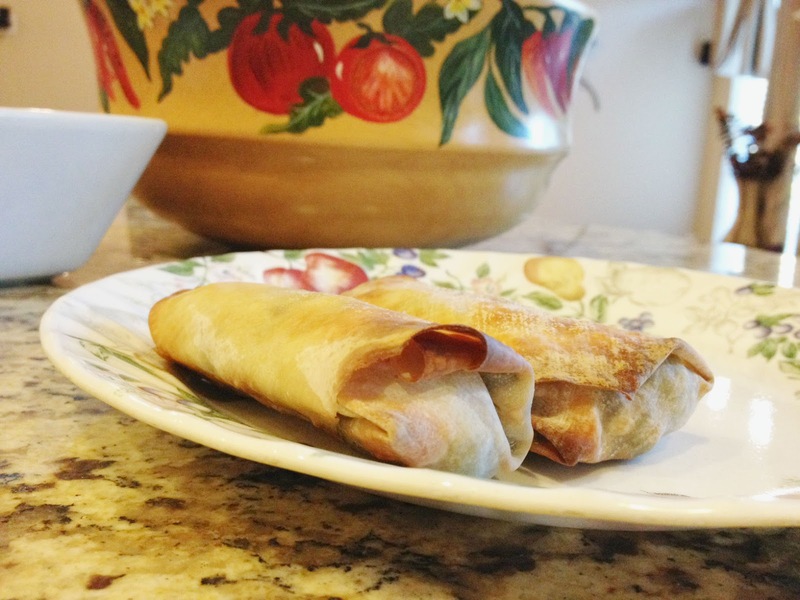 we made a side dish of quinoa & my dad made guacamole which paired with these eggrolls really well! 1) preheat oven to 425 degrees and coat baking sheet with cooking spray. 2) in a large bowl, combine everything but the egg roll wrappers. place about 1/4 cup mixture in the center of an egg roll wrapper and fold bottom corner over filling. fold sides toward the center over the filling and continue to roll tightly to seal. moisten remaining corner with egg to seal. repeat until mixture is gone. 3) place the seam side of the egg rolls down on the baking sheet and brush tops of egg rolls lightly with olive oil. bake for 10-15 minutes until lightly brown. turn egg rolls over halfway through baking. 4) serve warm & enjoy! what is your favorite southwest dish?